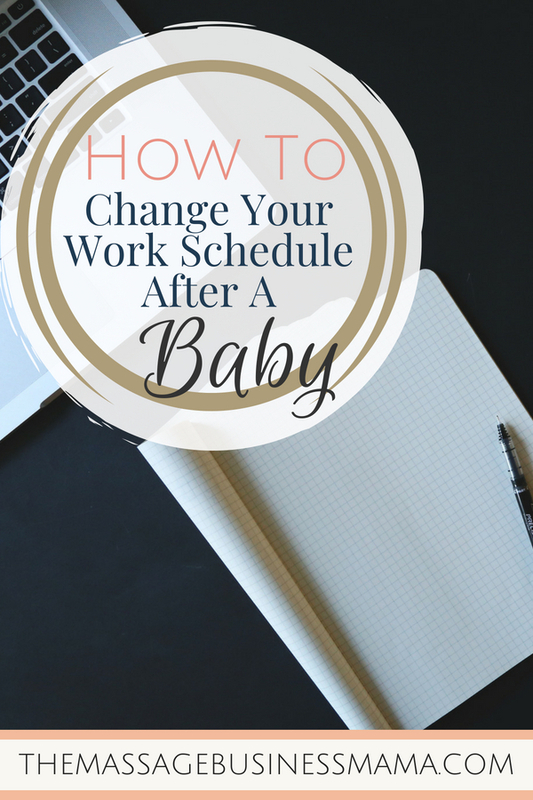 In this Post: Learn how to change your work schedule after having a baby as a massage therapist. 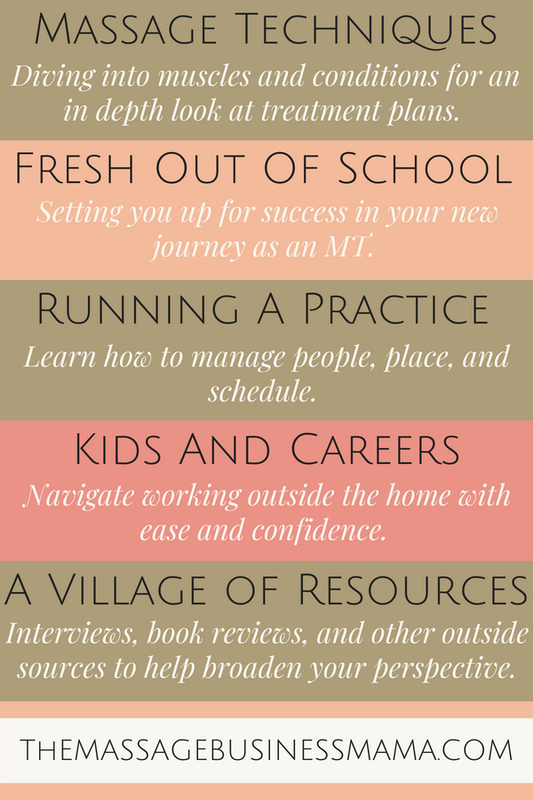 Having a career as a massage therapist means we can have highly flexible schedules, but that doesn’t mean it isn’t hard to make changes. Learn how to make these changes in a painless way. As massage therapists, we often have a ton of clients who work “regular” 9-5 jobs. Therefore, they enjoy receiving their massage on weekends or after work. This is all fine and well when we as therapists are young, single, and eager to establish ourselves. Fast forward 5-10 years and all of a sudden it becomes super important that we make it home in time to play submarine attack in the bathtub before our babes hit the hay. But to actually change our schedule, it feels so drastic. Anxiety sets in, “I’ll lose all my clients,” “I’ll never be able to pay my bills,” “I’ll have to give up massage”! But the truth is you CAN, and you should change your schedule. I’m ashamed to say how long it took me to make the change. 17 months into my little man’s life, for a variety of reasons, I finally realized it was time to take the leap of faith and reduce my hours. Once I made this realization I discovered a few things. When my little man was about a year, I realized that if I increase my prices I could reduce my hours. I had been in business for about nine years at that point. During that nine year period I had only had one price increase, five years prior. Before making the increase, I made sure to give all of my client’s ample warning about the upcoming changes. My prices were also slightly lower than the competitive rate in my town. Because of this discrepancy I used language such as “in keeping with industry standards and factoring the increased cost of doing business we are slated for a slight price increase come July 1st”. People seemed to understand. I even had one client who came up to me at the dog park telling me “you were due for a price increase, your rates were crazy low.” I also sent a coupon out to my existing clients giving them an extra four months to purchase massages at the old rate. The entire process of switching over my rates took seven months. From the time I let clients know until I stopped accepting coupons. Which brings me to my next point. So maybe you take seven months to switch your rates. This gives your clients a chance to adjust before your next big news. You are reducing your night and weekend hours. But the beautiful part, you can ease your way out. Maybe you choose to still work two nights a week and one weekend a month, before making the ultimate leap to no nights and no weekends. In doing this, you are creating a supply/demand curve that can actually work to your advantage. When clients know there is a scarcity of massages on night and weekends, they will feel privileged to receive one of those coveted spots. Now that you have slowly increased your prices, you can offer discounts to those who book during regular 9-5 business hours. Although, I would caution before your offer this option. Suss people out. I have been amazed how many people who work 9-5 hours can occasionally get off work early, or take an extended lunch break. So before discounting yourself, see how full your schedule actually gets with those who truly “need” your services. Then if there are gaps, you can offer discounts for booking during the day. When we first became massage therapists, wasn’t one of the reasons it was so enticing because we had flexibility with our schedules? So why now such a mental roadblock to achieve what we’ve been strategizing for for so long? We always wanted children and a nice family life. Now is the time. Once we make the commitment that a more “regular” schedule is what we want, we need to trust that the universe will support this decision. We are making this decision to be the best mom we can be, and when we make decisions from the heart, we will be supported. Getting ready to head back to work in a little less than 2 weeks, my sweet baby is 4 weeks old today! I am feeling a bit anxious about reducing my hours to 10-3:30, but want to give it a go! So Abby, how has the transition to shorter days gone?